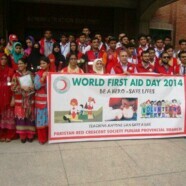 Emergency Services (A Project of Red Crescent Youth Group FCC) arranged an awareness walk to commemorate World First Aid Day on 16 September 2014 in collaboration with the Pakistan Red Crescent Society. Dr C J Dubash was the Chief Guest at the walk which started from the Intermediate Cafe, moving towards N-Block, E-block, S-block and turning back towards N-block. 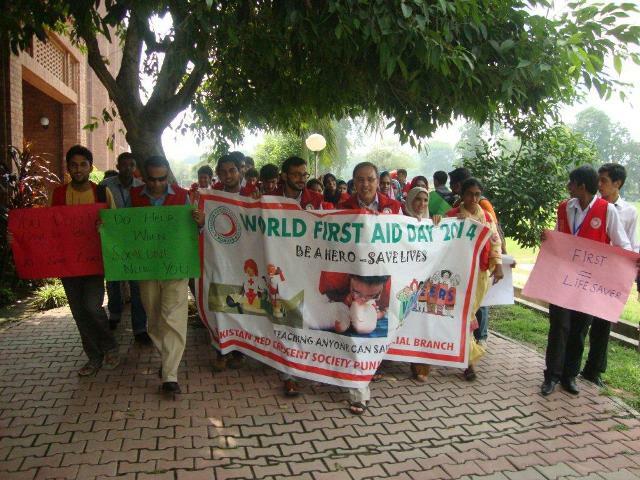 Students participated enthusiastically in the walk . 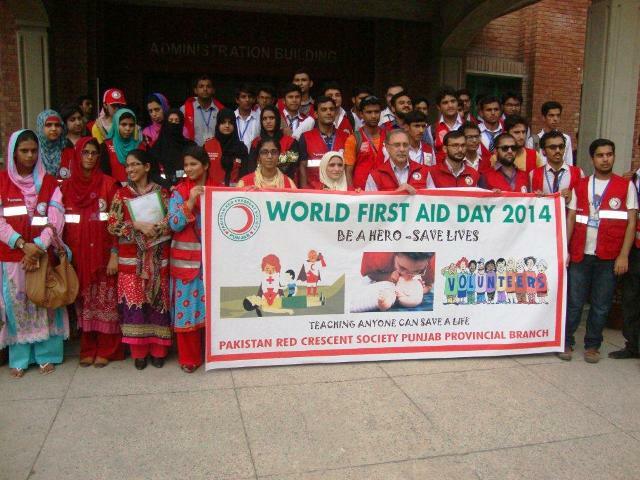 The Chief Coordinating Officer of Emergency Services specially recognized the efforts made by the Volunteers of PRCS and also acknowledged the determination of Emergency Services Team which includes Shamsullah, Jumaid Niazi, Muhammad Qasim and Bushra Abbas.